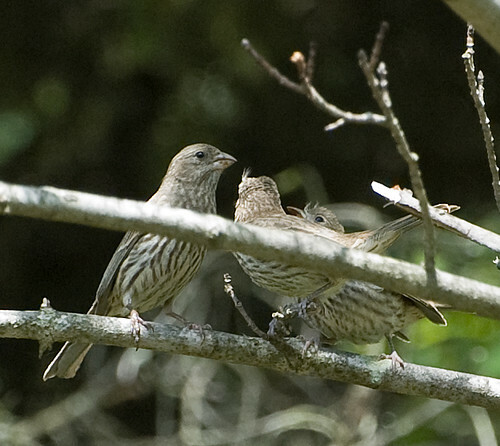 Like the crows, the neighborhood house finches successfully raised two babies. Over the past couple of weeks they have been regulars at our backyard feeder. 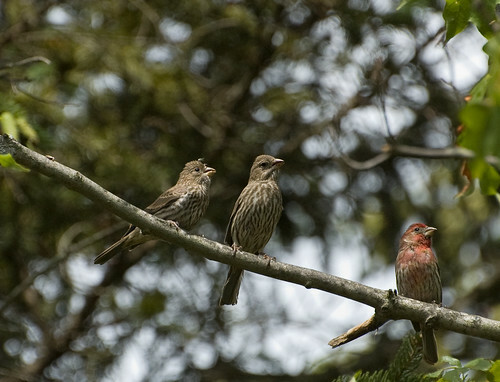 The parents will come to the sunflower seed tube feeder, load up and fly up to the eager young ones waiting in the maple tree branches above. Their arrival sets off an enthusiastic begging and ‘me first’ frenzy as the young ones jostle for position and first dibs. Both youngsters had the streaking and coloring of the female. 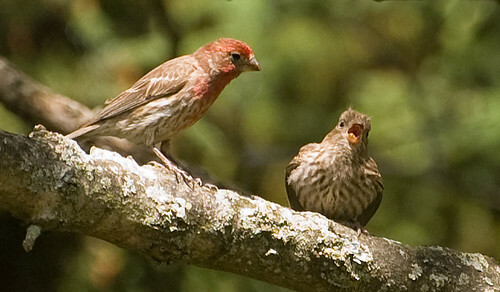 If male, the fledglings will acquire their red coloring in the fall. 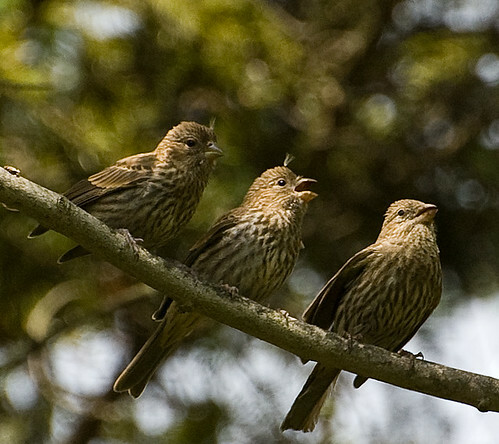 Both parents actively fed the youngsters and I have to say, a bit of anthropomorphism perhaps, the mother bird sure seemed to look tired. 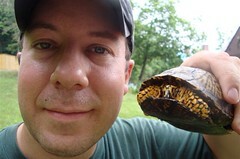 This entry was posted on 7 July 2011 by patacoate. 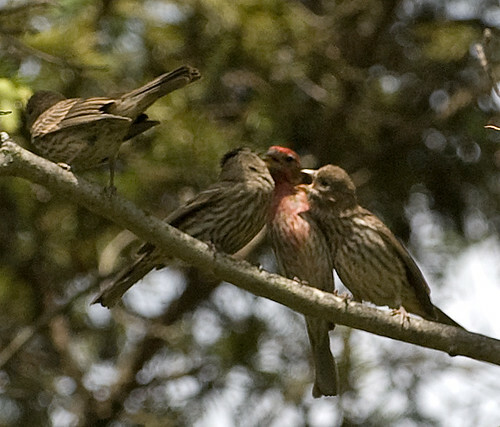 It was filed under iPhone and was tagged with house finch, House FInch fledglings. that is a very intent looking baby!